The engine of your car is the heart of the vehicle. It would make sense that you should have maintenance done on it, to keep it running at its best. One of the most honest services you can have done routinely is to have an oil change. An oil change service can be performed for many different reasons. The oil change will consist of draining all the old oil out from the pan and substituting the oil filter with a new one. Aside from having this routine maintenance done, what are some other signs that it would be beneficial to have an oil change? When you put fresh oil into a vehicle, it will be a light brownish color. 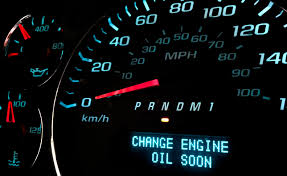 The longer you go between oil changes the engine oil will start to darken. When oil gets to the black state, it is not benefiting your vehicle’s engine at that point. You will be able to tell the color of your oil just by checking the end of the dipstick. The reason an oil change will be necessary is to change the oil filter out. The job of the screen is to stop any particles that are not healthy for your engine from being circulated. Over time the filer can fill or possibly become clogged. It will allow for those particles to escape. Once this happens, you could be putting your motor at risk. If you are used to having a quiet motor, then this one will be an easy sign to spot. Over time, and the longer between oil changes, the engine will develop a sound that is much louder as it is running. A lack of lubrication mostly causes it. If you were to think about what metal on metal was to sound like, that is what is going on under your hood. 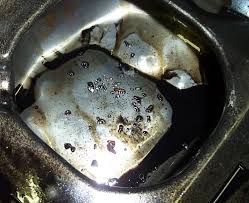 It is important to have oil put in as soon as you notice your engine making a different sound. Sure it’s one thing to a few miles over when you are due for an oil change, but ultimately forgetting to have the service done for thousands of miles can hurt your engine badly. If you go too long, a check engine light will appear, and this spells issues, especially in a variable valve timing car. The bonus to getting an oil change, the light will be gone. Going back to the engine gets the louder problem, one of the reasons an oil change can be beneficial at that time is to spot any possible damage that may have happened. When metal on metal happens in an issue, metal flakes will become present in the oil. 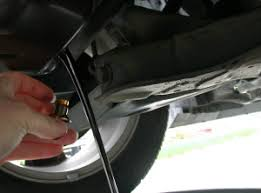 An oil change will be able to determine if you have large particles present. If there are significant chunks of metal found, it could spell disaster, but the cost of a rebuild would be cheaper than a whole engine replacement. Oil changes are the most critical maintenance item you should not put off. Cars now are built to go 5,000 miles or more between them. Oil changes can solve many of these indicated problems and will help your engine last much longer.